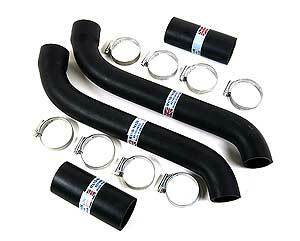 Complete set of radiator hoses and clips for the English ford V8 Pilot. We have these made in England from a long standing rubber hose manufacturer. Set consists of two top hoses, two bottom hoses and eight genuine English made jubillee clips.